Chevrolet stores 3x more automotive parts in the same amount of space. The auto service department at Dave Kehl Chevrolet now has easy, fast access to small parts and tools—all by simply turning a three-spoke rotating handle. Dave Kehl Chevrolet, Inc. has been the number one Silverado truck dealership in the state of Ohio for the past two years. In addition to a high volume sales department, they also have an extensive parts and service department, which recently moved to the new dealership facility across the street. 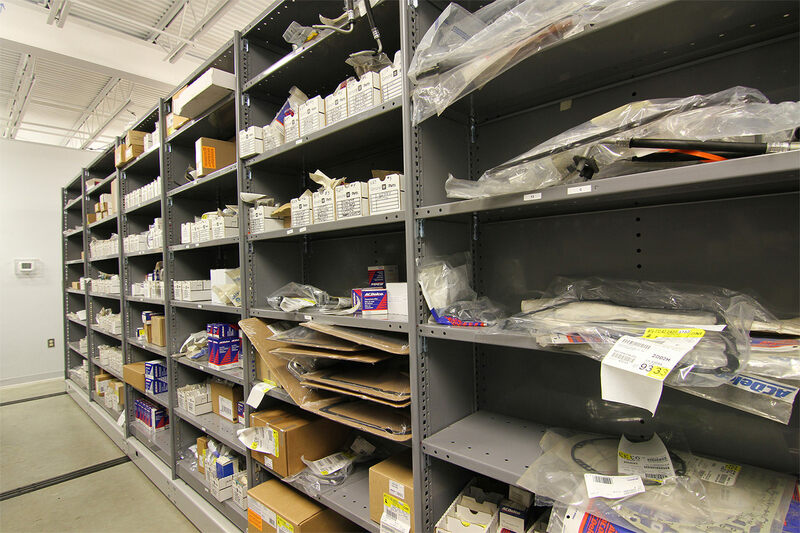 The original service department housed narrow shelving with only 24″ wide aisles, making it difficult to maneuver around aisles and access parts. And, the number of parts needed for service was already increasing. 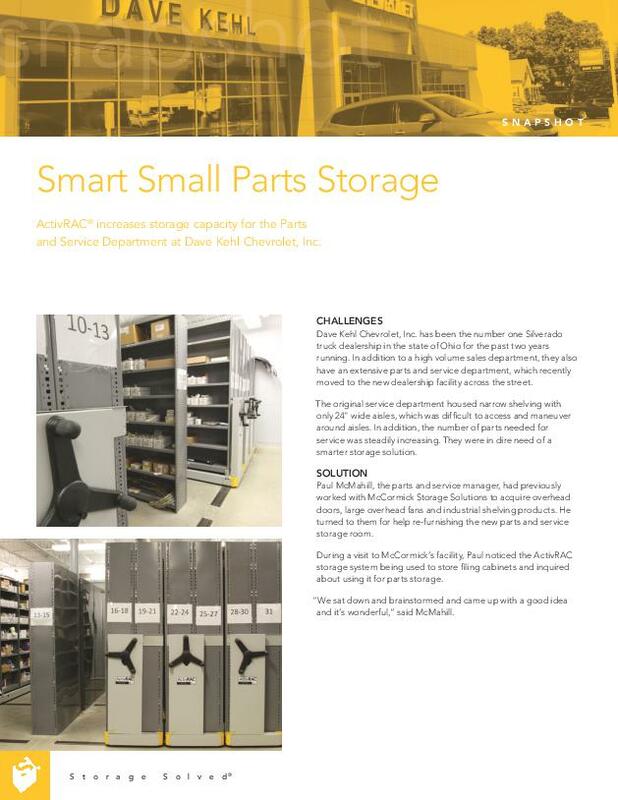 Parts & Service Manager Paul McMahill turned to McCormick Storage Solutions for help in revitalizing their new storage room. 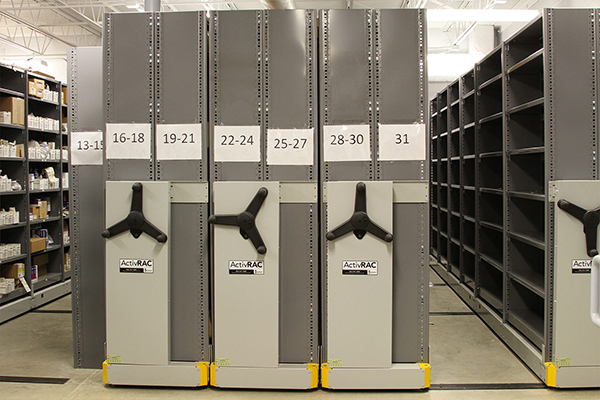 The storage specialists at McCormick recommended the ActivRAC system, which they were able to design around an existing column. 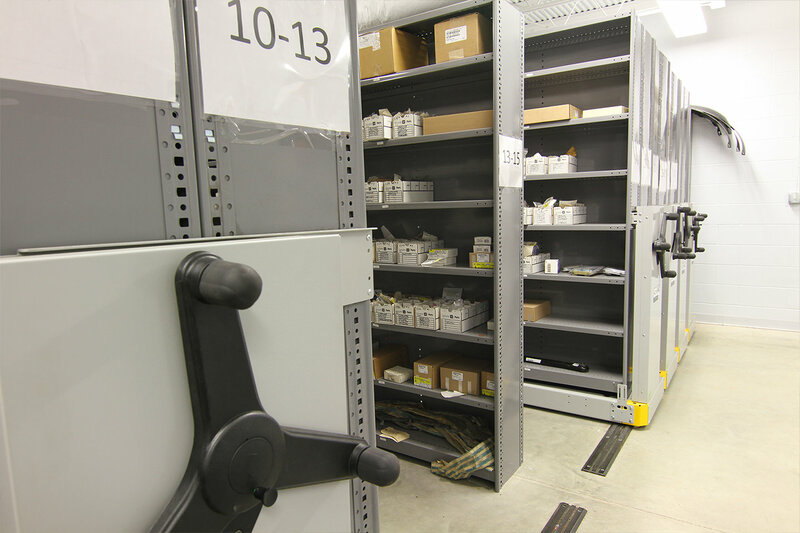 The new shelving system has alleviated several pain points for the employees working in the department, including storage capacity and access to parts.